The weather is looking up - at last! Let's hope it's here to stay, although sometimes the warmth is a curse as icing and buttercream can be a pain to work with in the heat. I remember one very hot day last summer desperately trying to get Kermit to stay on his log as he kept sliding off! As usual, I've had a real mix of cakes to work on. 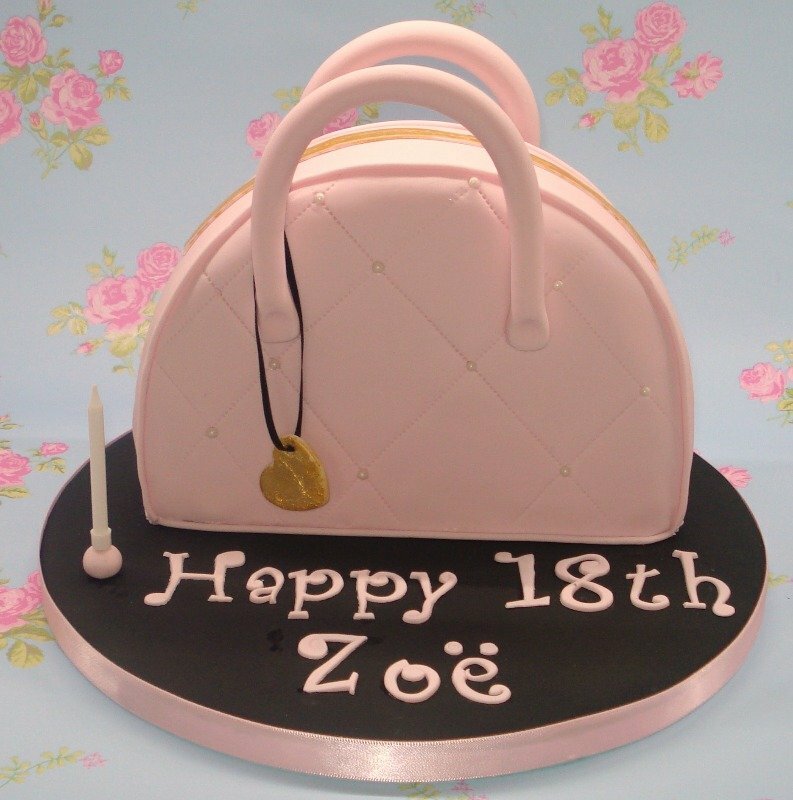 Firstly an 18th cake for Zoe and her mum ordered a variation of a make-up bag cake I did a few months ago. I made it into a handbag, put it on a black board to make it a bit more grown-up and added a heart charm. The heart was covered in 24ct edible gold leaf, I'd been wanting to try that out on something for a while! A wedding cupcake tower was next and Rachel chose my winter white style. I was really excited about this as I said when I designed them that they would look awesome for a wedding. They can be seen on their tower in the wedding album, but here's a closer look. A special 95th birthday cake was ordered, this was the third or forth I've done now with words around the side with special meanings. This one had Mum, Nanny, Auntie and Sister. They are proving very popular, and I'm not suprised as they are so meaningful. 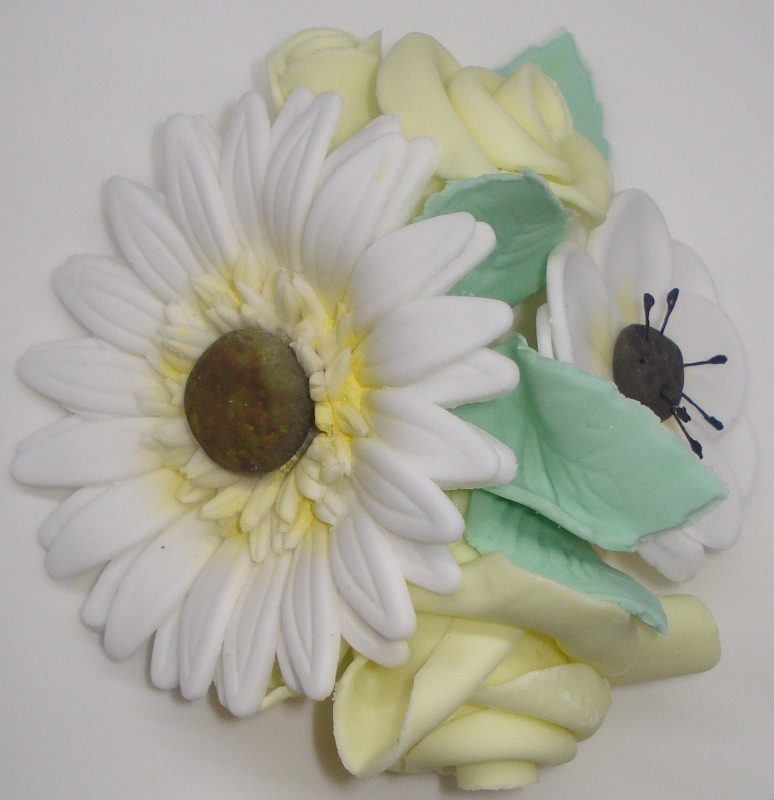 The cake was vanilla filled with homemade lemon curd and lemon buttercream and can be seen in the celebration cake gallery, but here is a close up of the sugar flowers. 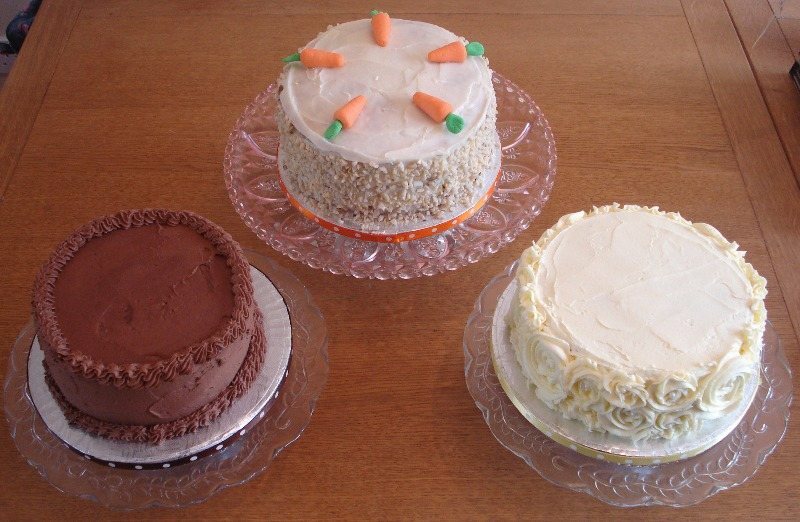 This trio of cakes was for a 16 year old, she wanted a carrot cake, lemon cake and a chocolate cake, all simply decorated. Now I admit, I panic a bit with these more 'natural' cakes, especially when family members ask me how I'm going to finish them! 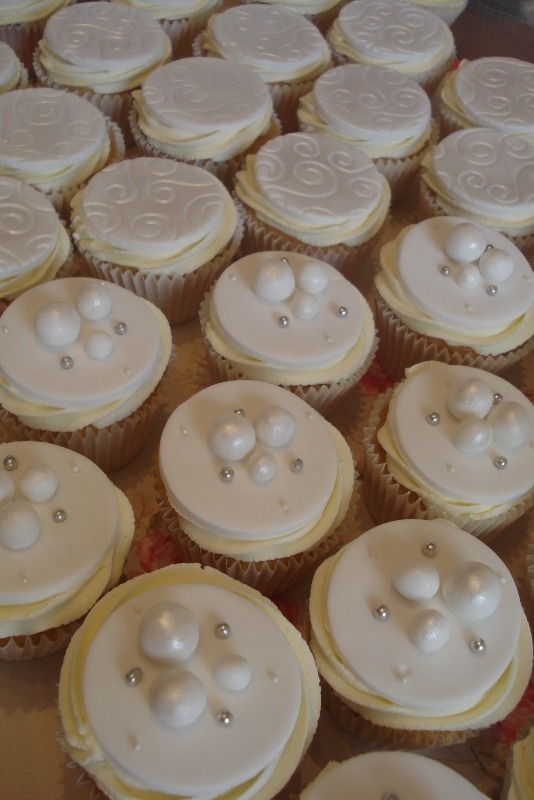 I suppose I/they are so used to seeing smooth iced leave that cakes like these look a bit weird! But actually, I love them and if I was ordering a cake, this would be my kind of style (and definitely chocolate!). Today this gift box went out, a dental hygenist ordered them to take to work for her last day before she goes on maternity leave - notice the teeth/toothbrushes! 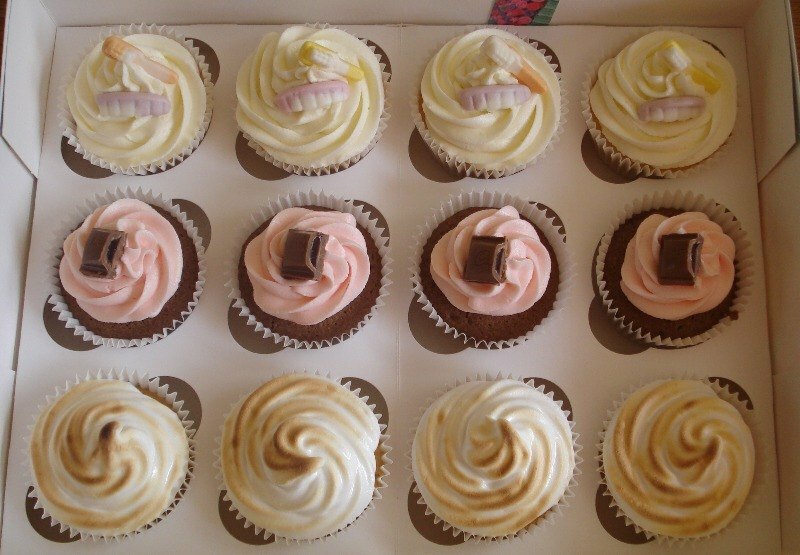 There are a selection of vanilla, lemon meringue and Turkish delight. There was a quiet satisfaction of making these sweet treats for a load of dentists, I hope they brush well! !